Hydrogels are a promising class of materials for tissue regeneration, but they lack the ability to be molded into a defect site by a surgeon because hydrogel precursors are liquid solutions that are prone to leaking during placement. Therefore, although the main focus of hydrogel technology and developments are on hydrogels in their crosslinked form, our primary focus is on improving the fluid behavior of hydrogel precursor solutions. In this work, we introduce a method to achieve paste-like hydrogel precursor solutions by combining hyaluronic acid nanoparticles with traditional crosslinked hyaluronic acid hydrogels. Prior to crosslinking, the samples underwent rheological testing to assess yield stress and recovery using linear hyaluronic acid as a control. The experimental groups containing nanoparticles were the only solutions that exhibited a yield stress, demonstrating that the nanoparticulate rather than the linear form of hyaluronic acid was necessary to achieve paste-like behavior. 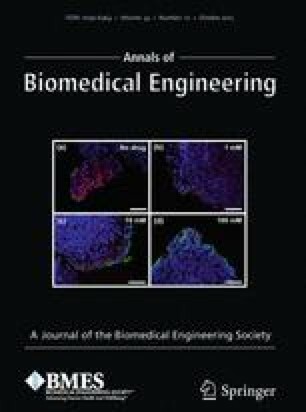 The gels were also photocrosslinked and further characterized as solids, where it was demonstrated that the inclusion of nanoparticles did not adversely affect the compressive modulus and that encapsulated bone marrow-derived mesenchymal stem cells remained viable. Overall, this nanoparticle-based approach provides a platform hydrogel system that exhibits a yield stress prior to crosslinking, and can then be crosslinked into a hydrogel that is capable of encapsulating cells that remain viable. This behavior may hold significant impact for hydrogel applications where a paste-like behavior is desired in the hydrogel precursor solution. We acknowledge funding support from the NIH (R01 DE022472 to C.J.B, S10 RR024664) and the NSF for a Graduate Research Fellowship (E.B. ), a Major Research Instrumentation Grant (0320648), and an NSF CAREER Award (DMR 0847759) (M.D.). We also gratefully acknowledge the Tertiary Oil Recovery Program for the use of equipment, the Microscopy Laboratory for assistance with imaging, and the KU NMR lab for their assistance.